Let this sofa help you create a refreshing space full of sleek yet retro style. From its button tufted details to the low track arms this sofa brings updated mid-century modern style to your living room. Upholstered in a high performance fabric, this piece will more than stand the test of time when it comes to spills and stains. 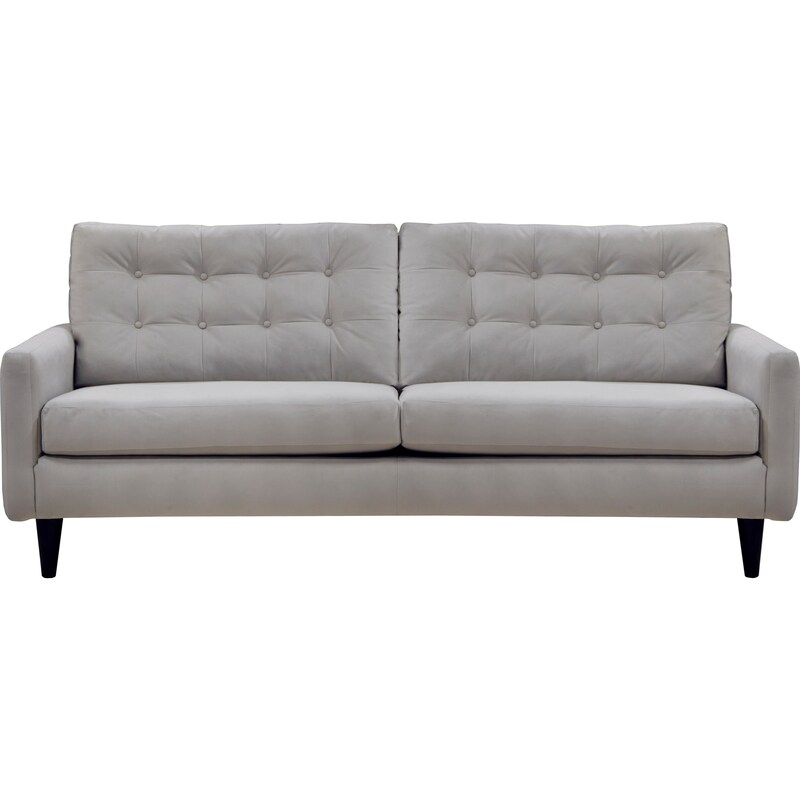 The Haley Mid-Century Modern Sofa with Button Tufting by Jackson Furniture at Miskelly Furniture in the Jackson, Pearl, Madison, Ridgeland, Flowood Mississippi area. Product availability may vary. Contact us for the most current availability on this product. Fabric Content LiveSmart technology combines a performance fiber with performance finish to give the fabric durability and longevity. LiveSmart fabrics are moisture repellent, stain resistant, and designed for heavy duty wear. Add a touch of sophistication to your living room with this mid-century modern inspired collection. The casually sleek look of these pieces ensure they are at home in any personal design style. The Haley collection is a great option if you are looking for Mid-Century Modern furniture in the Jackson, Pearl, Madison, Ridgeland, Flowood Mississippi area. Browse other items in the Haley collection from Miskelly Furniture in the Jackson, Pearl, Madison, Ridgeland, Flowood Mississippi area.